The Garmin i5 is super easy to set up and use. It makes a great all-around GPS for first-time users and for anyone who wants a very portable solution. It’s not waterproof and remote speakers can not be attached. The screen gets washed out in daylight. It weighs 6-3/4 oz. (193 grams). This is not a motorcycle GPS! Now that may be obvious to you, but it wasn’t to me, a complete rookie when it comes to mobile GPS (Global Positioning System) units. But I’m also a Myers-Briggs ISTJ, so when I decided that it was time to learn about GPS, I rolled up my sleeves and immersed myself in the facts, the trivia and as much of the details as I could absorb before I made my purchasing decision. In the end, I chose a great GPS unit, but it isn’t really designed for motorcycle use, as I discovered. But that’s OK — we’re here to make the mistakes so you don’t. So bear with me while I tell the tale, and hopefully you’ll pick up a tip or two along the way. I now realize that although I’m definitely interested in a GPS unit that can help me get from Point A to Point B without getting lost, what I’d really like to have is a “reverse GPS”. I’d like to have a system that will record my motorcycle wanderings that I can play back at a later date to see where I’ve been so that I can get back there again the next time. I absolutely love to just take off on my bike on a journey of discovery, turning this way and that, exploring new roads and new vistas. The problem is that when I find a great new curvy road, or a beautiful view, I can’t always find my way back there. I had a rough idea of how GPS worked, and I thought it could help me, but I really didn’t understand what GPS was all about until I took the plunge and brought one home. Sure, I read the GPS reviews, but they seemed to go from one extreme to another — they were either too full of arcane details and techno-babble or they were simply a cut and paste from the manufacturer’s press release. I picked up enough knowledge though to learn the basics, even though no single GPS really seemed to stand out as a solution for me. In the end, I decided that perhaps I should not spend the $1,000.00 or more on a high-end, sophisticated system as my first GPS. All I wanted was a color screen, portability and built-in maps of the entire U.S.A. I also wanted a speaker, an earphone jack and a waterproof GPS. The Garmin i5 has 4 out of these 6 requirements. The Garmin i5 is claimed to be “the lowest priced car navigator with pre-loaded maps on today’s market”. This was a strong selling point for me. Since I frequently travel around the U.S.A., I definitely wanted a unit with built-in maps, so that I didn’t have to worry about downloading the correct maps onto a memory card and the possibility of not having the correct maps or forgetting the map CD-ROM. 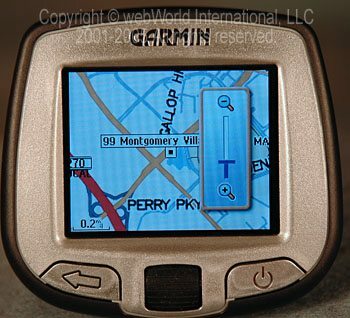 The Garmin i5 comes with the same maps as the Big Boys; the NAVTEQ City Navigator North America. The i5 uses the “NT” version of the maps, which means that it has a different compression algorithm, but otherwise it’s supposed to be the same. The maps include full coverage of the U.S.A., Canada, and Puerto Rico. The i5 also includes nearly six million “Points of Interest” (POI), like gas stations, ATMs, hotels, restaurants, and other attractions. There’s no messing around with map downloads to the i5; everything’s loaded and ready to go right out of the box. In fact, after becoming totally confused from reading a zillion different opinions on GPS units, I was absolutely amazed at how quickly I was up and running with the i5. I came out of the store, opened the box, turned it on and it was ready to go. I didn’t even unpack the instruction manual until the next day, which is very unusual for me (an ISTJ surely would prefer to read the entire manual from cover to cover to make sure everything was understood first!). I’ve seen some astoundingly bad computer interfaces in my time, and I can tell you that the Garmin i5 is positively a sublime revelation, it’s that easy to use. Mercedes, BMW and Microsoft interface designers aren’t even at the level of the Grasshopper when compared to the Enlightened Zen Masters of the Garmin engineers. I have handed the i5 over to complete computer illiterates, old timers and kids and they’re up and running with about 10 seconds of instruction. All they need to know is which button to press to make a selection. After turning the unit on (the button on the right in the photo above), every possible choice is controlled by only two buttons. The wheel in the middle rotates and has indents to give it feel. Rotate the wheel to see the choices and press it to make a selection. Press the arrow button to the left of the wheel to go back. That’s all there is to it! After starting the Garmin i5, an initial “i5” information screen displays for a few seconds. Next comes a screen warning the user not to mess with the system while driving. Go Home A home address is stored here. Address Select destination by: State, House Number, Street Name. Points of Interest Food – All Food, American, Asian, Barbecue, British Isles, Chinese, Deli/Bakery, Fast Food, French, German, International, Italian, Mexican, Seafood, Specialty Food Products, Steak/Grill. Fuel – Lists gas stations from closest to farthest. Lodging – Displays lodging from closest to farthest. Shopping – All Shopping, Apparel, Computer/Software, Convenience, Department, General Merchandise, Grocery, Home Furnishings, House and Garden, Pharmacy/Chemist, Shopping Center, Specialty Retail. Bank/ATM – Displays list of banks and ATMs from closest to farthest. Entertainment – All, Bar/Nightclub, Casino, Live Theater, Movie Theater. Recreation – All, Amusement Park, Arena/Track, Bowling, Golf, Park/Garden, Ski/Resort, Sports/Fitness. Attractions – All, Amusement/Theme Park, Arena/Track, Hall/Auditorium, Landmark, Museum/Historical, Park/Garden, Winery. Community Services – Bank/ATM, Border Crossing, City Hall, Community Center, Court House, Fire Department, Government Office, Library, Place of Worship, Police Station, Post Office, School, Utility (which also includes trash services, commercial and private electric repair companies, plumbers, recyclers and more). Hospitals – Listed from closest to farthest. Transit – All, Air, Auto Rental, Ground Transportation, Transit Services. Auto Services – Auto Rental, Auto Repair, Automobile Club, Car Wash, Dealer/Auto Parts, Rest Area/Tourist Info, Truck Stop, Wrecker Service. Recent Finds Keeps track of last choices for easy access. My Favorites Store favorite choices for easy access. Once an address, a restaurant, an intersection or other point of interest is selected, it can be saved with one click in the “My Favorites” section. Once a favorite is saved, it can be selected as a “Where To?” destination from anywhere in the U.S.A. and the i5 will provide directions. Each menu choice has the option to spell out the name. This is accomplished by rotating the wheel to highlight each letter or number and then pressing the wheel to select it. As each letter is selected, the i5 searches its database and brings up potential choices. 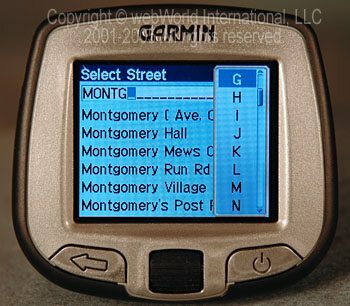 For example, in the photo below, as the letters “MONTG” are typed in, the i5 will start displaying street names, first starting with “M” as the “M” is selected, then “MO” as the “O” is selected, then “MON”, etc. As far as I can tell, it will display every street in the U.S.A. that starts with those letters, but they are quickly narrowed down to the correct street. You can see in the photo below that I have so far selected the letters “MONTG”. Montgomery Village Ave., the street I was searching for, is listed fifth. All I need to do at this point is to press the back arrow button and scroll down to Montgomery Village Ave. to select it (Note that prior to getting to this screen, I have already entered the state (I selected “Maryland”) and the street number (“100”) in two screens prior to this). Once the state, the street number and street is selected (or the intersection, or city, or POI, etc. ), the i5 will display the destination. The phone number is also displayed for a restaurant, gas station or other POI, which is handy in case the user would like to call first to place an order, find out what time the store is open, etc. At this point, there are three options, as shown in the photo below: “Start Navigating”, “Show Map” or “Save as Favorite”. Click “Start Navigating” and the i5 will calculate a route and display the map. The route calculations are very quick; local routes of, say, 50 miles or so are calculated within several seconds. A coast-to-coast route of around 2,500 miles takes about 10 seconds. The directions can also be shown in turn-by-turn text form. The i5 will recalculate the route almost instantaneously if a wrong turn is taken. The bottom line is that although I have nothing else to compare it to, apparently there are complaints about slow GPS routing and recalculation times on some brands and models. I can report that the i5’s calculating speed seems extremely fast to me and I have no complaints. A cool feature is the ability to simulate the route once it’s selected. The i5 will step through the entire route, turn by turn, instruction by instruction. I’m not sure how useful this is other than perhaps to familiarize the user with the route, but it’s fun to watch. The Garmin i5 maps can be displayed as “3D”, “Track Up” or “North Up”. The i5 defaults to the 3D map; the Track Up will orient the map so that the route being traveled is always pointing towards the top of the screen. North Up orients the map so that north is always at the top of the screen. The wheel can be used to zoom in and out, as shown in the photo below. The map display can go from a view of just about the entire U.S.A. down to maybe about 1/2 mile resolution. Keeping it at about the fifth “notch” leaves enough resolution to see the street names go by on the left and right, which helps to keep the user oriented when driving. The routing instructions can also be displayed in text format, two turns to a screen. The “miles to go until next turn” and estimated time of arrival are also displayed (as they are in the map view), and the voice instructions are also active in text mode. The screen will scroll through the routing instructions during the ride. That’s about all there is to it. Here’s something I learned: the Garmin i5 will probably get you to your destination, but it will use the most common route to get there. There is a choice for “Shorter Distance” or “Faster Time” in the settings, but they both seem biased towards Interstate highways and main roads. This is not a device that will lead you through the interesting back roads, even though you may know a back road short cut with lots of scenery. A wrong turn will generate an immediate recalculation, but the unit will almost always try to route the user around the block to get back to the original routing. Source (built in or additional map on SD memory. This is not necessary but may be desired to hold additional POI or maps of other countries. Color Mode (Daytime, Night Time, Auto) Dims screen automatically. Safe Mode (On, Off) On prevents user from menu selections when driving. Navigation Attention Tone (On, Off) Beeps for attention. Language Select from 18 different languages for text and voice. Two English voices are available, British and U.S. accents. It’s my opinion that the firmware and updates page for the i5 is hidden on the Garmin website. Thanks to wBW visitor “B.B.” (see “Notes” section below) for providing the URL of the Garmin i5 update page. Go to that page to download the Garmin “WebUpdater”, which allows the i5 to automatically connect via a USB cable to the Garmin site to download the latest firmware. I discovered that even though my i5 was brand new, a firmware version was available (version 2.7). That page also has links to the Garmin POI loader, which allows the owner to load custom Points of Interest onto optional portable memory in the i5. A link to the i5 USB driver is also provided, but shouldn’t be needed for a new unit. By the way, It’s my understanding that some websites are now available that contain free downloads of speed camera POIs, which may or may not be useful, depending upon your driving habits! The i5 can be powered by two AA batteries. This is a rare feature for a GPS and a real plus. Fresh batteries last about 4-5 hours. Garmin does not include batteries in the box, which is strange. The i5 comes with an automotive style power adapter (cigarette lighter type) on a 6 ft. (183 cm) cord. The i5 includes a ball mounted suction cup adapter which works well on flat, smooth surfaces. It is designed for use on glass windshields. A lever on the suction cup removes the air and makes it stick very tightly. The i5 also has a receptacle for an external antenna (not included). But the unit seems to have a very good ability to pick up the GPS satellites, even when the device is partly hidden under a fairing or dashboard. The i5’s screen is dim in daylight and the screen is also very reflective, making it hard to see anything unless a sun shade is improvised. This is also true when using it in a car. I assumed that all Garmin GPS units were waterproof (I’m not sure why I assumed that, but I did) and I didn’t discover that the i5 is not waterproof until after I purchased it. However, I can mount the i5 by sticking it on the tachometer of the Triumph Tiger, which protects the unit from the wind and partially from the elements. I’m not sure if the i5 could be covered by a plastic bag or something to protect it from moisture, but I’ll bet that the warranty will be voided it it’s used outdoors. 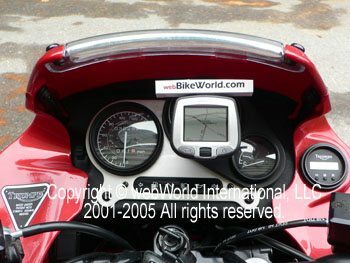 UPDATE: See the wBW article describing the new Garmin GPS mount, which eliminates the suction cup. Although the navigation instructions are loud enough for use in a car, they can’t be heard when riding a motorcycle (see the wBW article on installing an external speaker on an i3 or i5). There is no provision for an external speaker or earphone, so the navigation is limited to visual only when the i5 is used on a motorcycle. UPDATE: “I am here” Location Marking: I originally thought that the i5 would not allow the user to mark a location; that is, I thought that I could not save a location in memory or My Favorites without first having navigated to it. The current location can indeed be marked. First navigate to the map of the current location. Press and hold the wheel button for a couple of seconds while the map is displayed. The i5 then gives the current location a default name, such as “001”, “002”, etc. You then have the option of naming the location. B.B. says that this is a “pretty handy feature, especially when you find a location that is too new to be in the POI database and want to be able to easily navigate back to it sometime in the future”. By the way, B.B. also sent us the link to the the Garmin i5 software update page. Thanks, B.B.! The i5 doesn’t always seem to start the routing from the user’s exact current location. For example, if the user is located in a parking lot or if a series of short turns are required to navigate out to the main starting point, the i5 doesn’t provide voice directions until the main road is reached or shortly thereafter. This can be a problem when there are multiple route choices facing the rider immediately at the start of the route. Twice so far I haven’t been able to figure out which way to turn to start the route, so I simply guessed and waited for the i5 to turn me around. Unfortunately, the “no U-turns” box was checked in the settings, so it took me way out of my way to get back to where I needed to go. When entering a new “Where To?” address, the i5 will ask the user if the address should be set as a “Via Point”. This allows a one-instance “waypoint” to be set, so that, for example, the user could travel to Atlanta via Greensboro. Only one via point can be set, but another one can be set after the first one has been reached. This function is inconsistent, at least on our unit. At first we though that only a direct street address can be used as a via point and not a selected POI, like a restaurant or gas station. But we discovered that our unit will sometimes ask us if we want to enter a POI as a via point and sometimes it doesn’t. Seems strange — we’ll report back on this if we learn more. Now that the weather has turned colder, it seems like the suction cup mounting system that worked so well is prone to failure if the temperature falls during the ride. This happened twice on the bike and more than once in the car. There is no alternative mounting system for the i5, but I’m sure a home-made solution could be designed. The i5 locked up for the first time today. It seemed to have trouble locating the satellites, and about 4 miles into a new route, the screen froze. I pulled the plug and the batteries for about 15 seconds and plugged it back in. I left it at the “Where To?” screen and somehow it picked up the route again and knew where it was and successfully routed me to the intended location. Dimensions: 3.00” W x 2.74” H x 2.15” D.
Display: 1.7” W x 1.3” H, 220 x 176 pixels, TFT color, backlit. GPS: WAAS-enabled, 12 parallel channel GPS patch antenna with MCX-type connector for optional external antenna. Audible and visual navigation instructions and warnings. Batteries: Operates on two AA batteries (claimed 7 hours maximum). Includes removable 12-volt power adapter cable for external power. USB Interface Built-in Flash memory for storing preloaded map data. The Garmin i5 is very easy to set up and use. I’ve learned that it’s not designed for motorcycle use, which is too bad, because it’s nice and small and light weight at only 6-3/4 oz. (193 grams). I’d say that the i5 gets the award for the fastest “out of the box” up-and-running time of any electronic device I’ve ever owned. I’ve learned a lot about using GPS and I’ll probably use the i5 in the car only. But now that I know more about the technology and how it works, I’ll investigate other GPS systems designed for motorcycle use and we’ll report back in upcoming webBikeWorld articles. From “J.N.”: “I saw in your review someone wrote in wondering why the distances listed were too short. The reason is because it’s an “as the bird flies” distance from where you are to the favorite point. From “J.W.”: “Great review thanks a million. I just got mine and am loving it. I noticed something though that a I have been wondering about. When viewing “favorites” the mileage to destination is always way too low. Sometimes after the route is calculated the first “leg” of the ride is more than the whole reported mileage on the favorites page. In other words the route calculation comes up with the right mileage but the initially displayed mileage is much too low. Editor’s Note: I haven’t noticed this problem but I haven’t really been looking at the mileage numbers. I’ll check ours to see. Well this have been one hell-of-a GPS fact finding marathon for the past two weeks. Gotta love the ‘net and the amount of information, reviews, sales, auctions and down-right bargains out there on GPS’s. In typical fashion, I set out on this with reasonable expectations and equally reasonable (I thought) budget of $500. Since GPS’s have been around for a while, I figured good deals could be had on new, nearly new units. I was right. 50% off list (or more) is easy if you really do your on-line homework. As someone pointed out and rightly so, my $500 was right in no-man’s land when it came to a GPS purchase. It’s too much for the base units and not enough for the really good units. But as you will see, I managed to find that zone where high/low model and price compromise finally came together for me. So, with “only” 10–20 hrs of on-line searching and reading I quickly came to realize that Garmin is the industry leader and rightly so with all the horror stories I’ve read about the wanna-bee’s and also-ran’s that confuse the issues. This search ended up with the classic comparo of the low-end bargains that serve the bare need vs. the high-end units that have way too many bells ‘n whistles, but as usual, there’s usually something that I really really think is a great idea. So I typically stretched my $500 budget to get this much appreciated option. 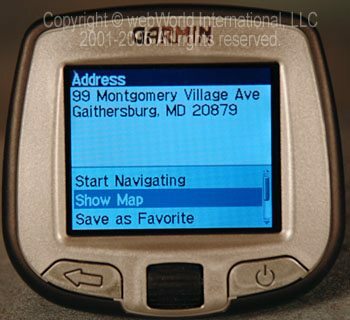 Garmin i5: List: $360, EBay & Outlets circa $275 (new in box w/ everything). I’m convinced that this is more than enough for 90% of us that want a good waterproof unit that can be moved from car to car to bike, not to mention it is self contained (internal battery powered) and normal 12v vehicle powered. If the Garmin 2730 didn’t exist, I would have chosen this unit as all of the reviews from owners and mags say this is just a great simple unit that does it all for car or bike. Garmin StreetPilot 2730: List $1200, Ebay & Outlets circa $600–$650 (new in box w/everything). 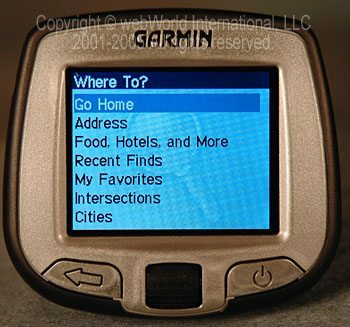 This is a recently discontinued by Garmin model, but still available on-line by many on-line stores. So real bargains can be had, but what really got my attention is that this unit will play through your vehicle’s FM radio, so it can be heard/understood under any circumstance. I like this feature a lot and it is not offered on any other Garmin model, no matter how high you go, so this raised my $500 limit by $120, but I’m very happy with my decision and got one off Ebay brand new in sealed box with all the accessories for $620. As a 100% newbie to all this, I unpacked it and began with step 1 to go through the set-up steps. I quickly came to a halt with an instruction that just didn’t work, so I called the Garmin hot-line and got put on hold immediately but I was determined to hang-on and out-wait them. These are the times where my desk speaker phone pays for itself as I happily work on something else as the answering machine recordings repeat themselves. Sure enough, within 20 minutes an extremely helpful lady came on to talk me through each step like butta. In 10 mins we got everything working and we even did a free upgrade to the latest software. Then she steered me to a site where I could get the latest North America street map CD (vs 8)… free ($130 value). Happy as a clam, I played with it for a while inside (120v to 12 v adaptor that came with it) then went out to the van and set the unit on my dash (kind of a low profile bean bag mount that really works well). I tuned the radio to a unused FM2 frequency and punched that frequency into the GPS. Presto bingo !! I now have 100 watts of easy to hear soft voice commands (pick from 20+ male/female languages) from 8 speakers instead of over-driven 1/2 watt from a one inch speaker at the cigarette lighter plug. Sweet. So far everything works as described and I’m still working my way around all the buttons ‘n bells. Averatec Voya 350: List $400, Ebay & Outlets circa $300. I tossed this fully featured unit into this issue as someone mentioned it, so with his recommendation I went off to see what this new-comer was offering to get into the very popular GPS market. I looked at it’s spec’s and features and it certainly looked promising, especially at its remarkably low price. Maybe I found something special here, so I dug deeper. I searched and searched and finally found it at Circuit City, so I called the Rockville store to see if they had one on the shelf. “I’ve never heard of that unit sir” is what I got from all three of my local Circuit City stores, so I went back on-line to call the 800# given by Circuit City gave to order it. “That unit is only offered on-line sir”. Hmm, not the warm and fuzzy feeling I was looking for, so I dug deeper and went to the Averatec site to click and click only to come up with endless “Page cannot be displayed” time after time. Then I called the customer service 800# and got “that # is no longer working”. Needless to say that this was the nail in the Averatec coffin and why CirCity is even offering it at all still confuses me. I guess it’s just a blow-out item that they are trying to get some of their money back. Go figure. From “J.W.”: “Hi from the UK! Just came across your article regarding the Garmin StreetPilot and its use on a bike. I looked long and hard here in the UK for a small but portable GPS. I couldn’t believe my eyes when the Garmin StreetPilot came it, it’s perfect for using on a motorcycle. Like yourselves I use the GPS attached to the tacho on my Triumph by use of the suction cup. It works absolutely fine. What I have done in addition is that I have modified the unit by undoing the case and soldering speaker wires to the existing speaker. Then CAREFULLY (!) drilling a small hole in the case and feeding the cable (which has a jack-plug) through the case; putting the case back together. And hey-presto fitting an earpiece (which a buyer on eBay sells specifically for motorcycles) into my crash helmet with crystal-clear sound inside my crash helmet! My only problem now is to try and track down a manufacturer who is prepared or makes a soft plastic case to put the unit into. To date no manufacturer appears to see the huge potential market out there because everyone I know who has a bike is going for this small, brilliant piece of equipment. Perhaps you can persuade someone to make and sell something. From “G.D.”: “Bought it 4 days ago… (paragraph cut, edited for brevity)… (the webBikeWorld review) stated there was no charging status for both the TomTom unit and the Bluetooth headset – both statements are false. The unit I have with version 5.420 software clearly indicates the charging status and battery level on the Status Summary screen (with or without a route planned). Additionally as the battery level runs down to about 1/3 to 1/4 it constantly flashes on the main screen. Also the headset displays a red LED while charging. Finally the power switch: just push it in, as the rubber moves you’ll feel a slight click. Don’t use a finger nail or anything sharp. If you have it connected to your bike correctly (switched DC) you’ll never turn in on or off by the switch anyway. It automatically turns on when you start and off when you turn off the bike or remove it from the DC cradle. So why was your reviewer so concerned with the power switch since its never needed? Did he even install the unit on a bike? Additionally, your reviewer completely glossed over the Bluetooth connections and web information (weather, traffic and emails). Because of the Bluetooth connection you don’t have to look down at the unit while riding and you can hear the instructions at speed like having a real intercom system without all the wires. Because it connects to your Bluetooth cell phone you can easily call any POI and make reservations while under way. With the ease of making and receiving calls with the TomTom Rider and a Bluetooth headset it very easy to use your cell phone as an intercom system between riders and cycles. Editor’s Reply: As we mentioned in the review, our example was a very early production version, so perhaps some features have been changed after the initial manufacturing run. Ours does NOT have a charging indicator that is visible on either the ear piece or the TomTom unit when it is being recharged. 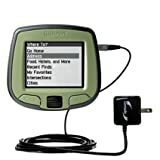 Other TomTom Rider units that we used since then also did not have a charging indicator on the Bluetooth headset or on the screen during normal (map) viewing. We have tried several units and had problems with the on/off switch on all of them. It’s completely unacceptable on ours and can barely be turned on or off. It’s a very frustrating experience. Our feeling is that the primary purpose of a GPS is for directions and mapping and not for making calls, listening to music or downloading email. Our feeling is that talking on the phone whilst riding a motorcycle (or car) is dangerous and we don’t recommend it, thus we didn’t try this feature, although we do now have a cell phone that has the capability of connecting to the unit. We compared the TomTom to the Garmin i5 and a built-in unit in a 2006 Ford Explorer that we use as a tow vehicle. We reviewed only the mapping features of a GPS system, which is the primary purpose of the device. 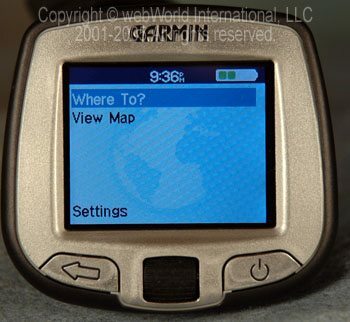 From “H.P.”: “I’m not a biker but I would like to thank Bill C. and webBikeWorld for the excellent review of the Garmin StreetPilot i5 published on the Web. Looking for information on GPS devices for automobiles, I searched the Web for a review of Garmin StreetPilots and found your article. The point of view of the article is perfect for a beginner who doesn’t know anything about what to expect from these devices, how to operate them or what comparative levels of quality the i5 has. It is also spectacularly well thought out, well written and illustrated and contains its own hallmarks of credibility. From “B.M.”: “Just read your review of the Garmin GPS unit. I’ll second the other reader comment about the 2610. I’m very happy with mine. (Oh, yeah: the 2610 will store your track as you ride and allow you to upload it to a PC to help you figure out where you’ve been.) But that’s not really why I’m writing. I’d like to point out another feature or capability that I consider essential for a motorcycle GPS. When I’m routing for my car, I probably want the fastest route, which all of the auto-routing GPS units from Garmin and others will do. But when I’m routing for the motorcycle, I am more likely to be looking for the most entertaining route, which is something no GPS I’ve seen is capable of doing. The Garmin units will sometimes generate interesting routes if you choose the “shortest distance” option (which may not exist on the little i5), but sometimes this just chooses traffic choked main arteries. If I really want to create an entertaining route, there’s no real choice but to build the route manually, by seeking out twisty roads and inserting way-points to force the GPSR to follow the roads you want. And to do that, you really want a GPSR that will let you create routes on a PC and download them. Creating waypoints and manually building routes is at least an order of magnitude easier with the large screen, keyboard, and mouse of a PC than it is on the small screen and limited interface of a GPSR itself. Editor’s Response: As we mentioned, the i5 will get you where you want to go, but the route may not be the shortest, prettiest or even the one you’d pick from a map. Comparing the 2610 to the i5 is an apples vs. oranges thing. Many new and experienced GPS owners don’t want to mess with a computer, mapping software and downloads. The i5 is a very good basic GPS that will get you from here to there with a minimum of fuss. It can be stored in a tank bag or glove box and it’s ready to direct the owner anywhere in the U.S.A. within seconds. From “T.M.”: “As an ISTP to an ISTJ, here we go. 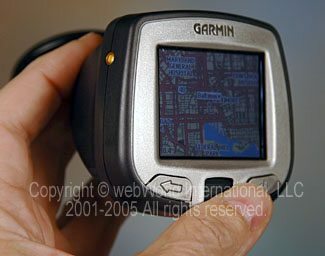 In the past 10 years, I’ve owned a lot of Garmin products as well as gps receivers for use with real-time computer mapping, mostly DeLorme stuff on Mac and PeeCee laptops. The laptop stuff is tough to use even in the car and I gave up on buying new versions of the DeLorme products 4 or 5 years ago, but the voice controlled versions were a lot of fun, especially the “Where am I?” and “Are we there yet?” commands. But I admit I often followed up the where am I question with “Why am I here?” and I never did get anything but silence when I asked that. HA! When I bought a VStrom 650 last May, I decided against moving the Street Pilot 3 from the car to the bike and bought a Garmin C-330, which blew me away with the speed of route re-calculation when I decided, or was forced, to take a route diversion. This unit isn’t waterproof, but I figured I’d just plastic bag it if the weather got wet. The other problem with it is the lack of a motorcycle mount, so ultimately I retired the Street Pilot 3, moved the C-330 to the car and bought a Quest 2 for the bike. BIG MISTAKE! The Quest 2 is brutally slow like the older models at calculating and recalculating routes — not at all acceptable when you’re forced to reroute in heavy traffic. So I spent a long time reading on gpsinformation.net which has gloriously detailed reviews and is a site that’s been around for a very long time. I used it when I bought my first Garmin 12XL in 1995 or so. My final decision was a Garmin 2610 with motorcycle mount and I love it. It has all of the nitty gritty details of the Street Pilot 3, like the ability to mark waypoints, the wicked fast speed of the C-330, and you can dump the entire country on a Sandisk Ultra II compact flash card, the same fast ones I use for audio recording. BTW, I love your website, except for the animated front/back type pictures you often use. I see the point, but they’re distracting me from the text content and I’d like it better if you could time out the animation. Editor’s Response: I have read that the Quest 2 recalculating time is very slow. If it wasn’t for that, I probably would have chosen it instead of the i5. I don’t have much to compare it to, but the i5 seems incredibly fast to me – it locates satellites usually before I’m even ready to tell it where to go, and if I make a wrong turn it recalculates almost instantly, probably in less than 5 seconds. The photos are animated .gifs, the simplest way to do this. The only reason )for the animation) is to save precious space on the review page. I’ll see if I can figure out something else – I think I can make the .gifs so that they loop a certain number of times and maybe the visitor can click to start it again. By the way, we’re waiting for the TomTom Rider to come out “any day now”, a GPS that’s supposed to be specifically designed for motorcycles…..we’ll have a review as soon as we can.